We're pleased to welcome Marlene into this exceptional group of professional women. The International Association of Women (IAW) honors Marlene Avant Steiner as a 2018-2019 inductee into its VIP Influencer of the Year Circle. She is recognized with this prestigious distinction for leadership in entrepreneurship. The International Association of Women (IAW) is a global in-person and online networking platform with nearly one million members, 1000+ in person and virtual events, over 100 Local US based Chapters and International Chapters in several cities in China. 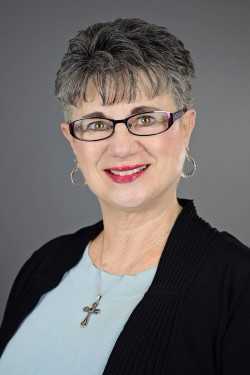 Marlene Avant Steiner began her professional career working in the human resources industry, earning the designation PHR (Professional of Human Resources). During her highly successful 25-year career in that field, Ms. Steiner honed her skills in communications, management and problem solving. In 2002, she obtained a license in insurance, selling home, auto, life, health and commercial insurance to individuals and businesses. More than ten years ago, Ms. Steiner added yet another area of expertise to her resume when she became a licensed Realtor. She has worked at a number of agencies, including Keller Williams, Columbia, and is currently with SC Homes and Land Realty. In her role, Ms. Steiner helps clients achieve their real estate goals, whether they are purchasing their first house, putting a family home on the market or looking to make a sound investment. Knowing how stressful buying or selling a home can be, Ms. Steiner works closely with her clients through every step of the real estate sale or purchase process to ensure their experience is both positive and successful. She is an active member of the National Association of Realtors. The International Association of Women (IAW) is a global in-person and online professional networking platform that provides nearly one million women the forum, professional development and services needed to thrive in an interconnected world. Through 100+ local chapters, International Chapters in several cities in China and 1000+ in person and virtual events, members cultivate valuable connections, develop professionally, and promote themselves and their businesses. Founded in Chicago in 2017, IAW is a division of Professional Diversity Network, Inc (NASDAQ: IPDN), an online network tailored to provide diverse professionals in the United States with access to employment opportunities.